The account was put up for review last November. BATTLE CREEK, MI: Kellogg has handed its influencer account to Weber Shandwick, taking in the work away from incumbent DJE Holdings shop Krispr. "Last fall, we began a thoughtful and thorough agency review to drive our influencer engagement strategy," a Kellogg representative said in the statement. "Today, we’re pleased to announce our new U.S. influencer engagement agency partner is Weber Shandwick." Weber representatives declined to comment on the win. 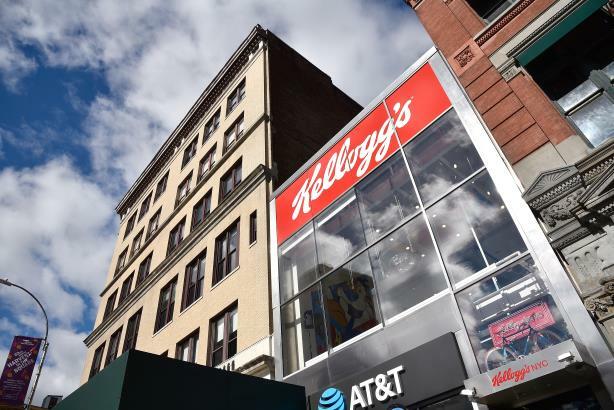 "We are extremely proud of the work we have done with Kellogg Company over the past seven years," an Edelman representative said. "And we wish them every success in the future." The cereal company put the influencer account up for review last November in a formal RFP process that included Krispr. At the time, the company confirmed Krispr was involved in the competition, but it would not name the other firms participating. Edelman created Krispr, initially named the K Group Public Relations Company, to handle Kellogg’s work when it won the account in 2012. The company had previously selected Weber Shandwick and sister agency Current Lifestyle Marketing to lead PR efforts for its U.S. brands in 2011, but the agencies had to resign due to possible conflicts within Interpublic Group. At the end of February, Edelman reported its global revenue dropped 1.1% in 2018 on a like-for-like basis to $888.4 million. For parent company DJE Holdings, revenue dipped 0.1% last year to $961.8 million. For Q4, Weber reported mid-single-digit growth on an organic and as-reported basis for all of 2018 and "strong" double-digit growth, also on both an organic and as-reported basis.